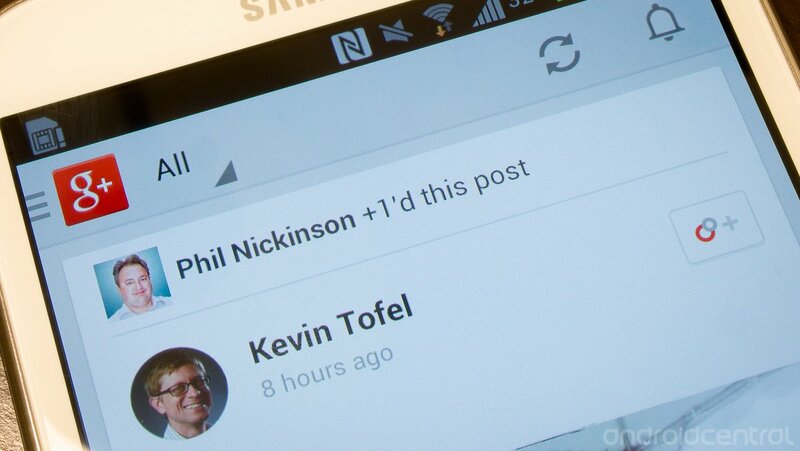 Now this is far from a privacy alarm -- you have these people in circles and use Google+ for a reason -- but rather something that needs to be kept in mind. When there's an app update to specifically highlight this new content type, it's important to focus on. Stick with us quickly after the break to see how to change your settings. By default, Google+ assumes that you're willing to share posts and items that you +1 with Google itself (for advertising purposes) but also with your "friends" circled on the service. If in light of this new +1'd content being shown on Google+ you would like to change the settings for what is shown to friends on Google+, follow these (unfortunately difficult) instructions. From the Google+ homepage on the web, slide your mouse to the left edge to reveal the slide-in panel, and click on "settings" at the bottom. Scroll about half way down the page to "Apps & activities", and click on the "Manage apps & activities" button. There will be three tabs at the top of the page -- click the one labeled "Google" and click the "edit" hyperlink under "Visible to". You'll see the box displayed above, explaining what the setting does and giving an option to ratchet down the visibility of your +1's all the way to "Only you" if you'd like complete "privacy" from sharing with your friends. 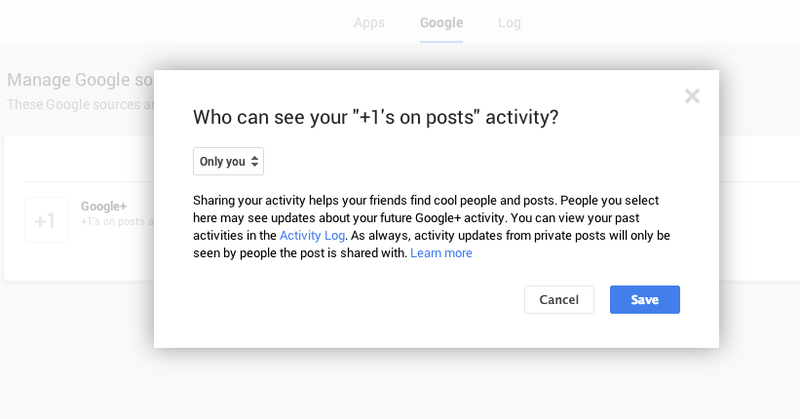 Presumably if you select the "Only you" option here, none of your +1's on Google+ will be available to be shared with friends, and therefore will not show up in their stream with this latest Google+ app update. If you'd like to obscure your +1 activity further, also consider going back to the main settings (first step above) and un-checking the "+1" box under "Profile", which turns off whether or not they are viewable on your Google+ profile, regardless of your sharing preferences. Additionally, under the "Google +1" heading in the settings, you can edit whether or not to have +1 buttons on non-Google sites personalized with your likeness to friends, and vice versa. Given the default settings and how unfortunately difficult it is to change them, you can see what +1 preferences Google would prefer you use. But not everyone wants to be 100-percent "out there" on Google+, and it's good to know that these settings can be tweaked -- not just "on" or "off" -- to your comfort level. In the end, let's all remember that no matter what you think you have your settings set to, if you put it on the internet, you might as well assume that it's publicly accessible. It's a good rule to live by that may save you some headaches later.